With the rise of smartphone popularity and release of tablets in the past few years, the market has been ripe for the introduction of new and creative way to take payments mobile and without wires. This has opened up many opportunities for merchants, more profits for the banks and card issuers along with news security risks and challenges. The concept is simple; a payment app is downloaded to the smartphone or tablet which has an interface that looks like a mix of a calculator and virtual terminal. 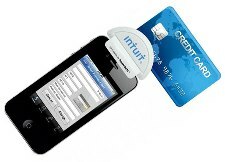 Also many apps have an attachable card reader that allows for quick card number entry and card present rates. This advancement in technology has taken card processing to the little guy and allowed mobile merchants a more cost effective and efficient way to process cards. Prior to this innovation mobile merchants would either have to manually imprint cards, document numbers and process later or utilize a costly wireless terminal. New phone and tablet apps are coming out daily, and compatibility across multiple devices changes regularity as well. For simplicity we will discuss a few of the most popular on this page. For more up to date information be sure to visit our blog. Innerfence is at the top of the list because of compatibility, security and cost. Unlike other apps, innerfence is simple an interface for Auth.net which is the real processing power behind it. What this means is that any merchant account will work and since the app is free the only cost associated with processing outside of normal merchant services is the cost for Auth.net. This is the perfect solution for those merchants who already use Auth.net for eCommerce or plan on selling online in the future. Additonally because Innerfence uses Auth.net the security is high and technical compliance will always be maintained. Also because a standard merchant account is used the merchant can do larger volumes and is perfect for high ticket mobile merchants such as painters, plumbers, electricians, contractors, etc. 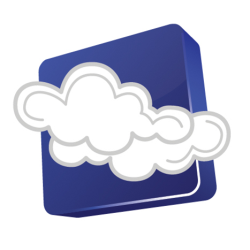 Innerfence is compatible with the iPhone, iPad, Android, Windows Phone and even has a MAC version. A universal card reader can also be used to established retail or “card present” transactions. 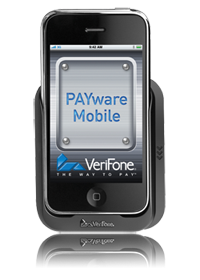 Verifone a trusted hardware and payment technology innovator developed PAYware mobile for the iPhone as an ultra secure alternative. Like other apps a merchant account will be required but a mating payment gateway is not as Verifone handles this. A more secure andÂ reliableÂ card reader is available for the iPhone however not available for the Android or Blackberry devices where manual entry is the only option. Verifone is also working on an exclusive iPad hardware / software configuration that is set to be a comparable replacement to a cash register. This effective “mobile POS” has the potential to make major changes in both the mobile and retail payment markets. Similar to the situation of processing credit cards withing Intuit’s QuickBooks, Intuit GoPayment provides smooth integration and reasonable costs but leaves the merchant captive to Intuit’s merchant services. Although Intuit offers a low volume and high volume (lower cost) plan, the pricing is still higher than most typical merchant accounts, even at the high volume plan. Square is the one rouge among the group that does not require the merchant account which is a good thing and a bad thing. Similar to a PayPal personal account, Square is great for average people conducting garage sales or merchants who will process only a few hundred dollars to a thousand per month. The lack of merchant account removes monthly fees and makes it easy to get approved and setup. The challenge though is without a merchant account, the lack of scalability, customer service and the extremely high pricing make it an unreasonable option for any real business planning on processing more than a thousand dollars per month. On top of these issues, square also has major security issues and reliability problems with the card reader. Although we would not recommend Square to anyone for all of these issues, it is worth mentioning as it is one of the most recognizable and popular apps and has the potential to offer more value sometime down the road. 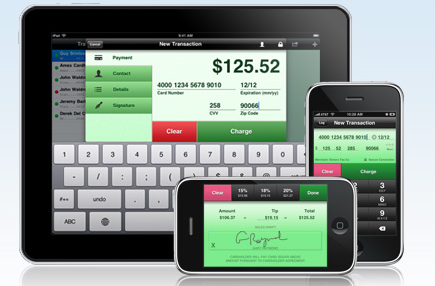 Total Merchant Network has hands on integration experience with both Innerfence and PAYware among other apps. Contact Total Merchant Network today to help determine if a smartphone or tablet app is the right solution for your business.